There's getting away from it all, then there's really getting away from it all. That's Gavdos. You can't get any further south in Greece than Gavdos. You can't, as a matter of fact, get any further south in Europe than Gavdos. This wedge-shaped, 8-by-15 kilometer island is home to less than 50 permanent residents, with the population swelling to more than 3,000 in the summer. Some people say that this is where Calypso held Odysseus captive for 7 years in the Odyssey. There is evidence that the Romans had some kind of outpost on the island. It had as many as 8,000 inhabitants by 900 AD, and then the population declined to 500 over the next thousand years. The Greek government exiled 250 communists there during the 1930's dictatorship of Ioannis Metaxas. 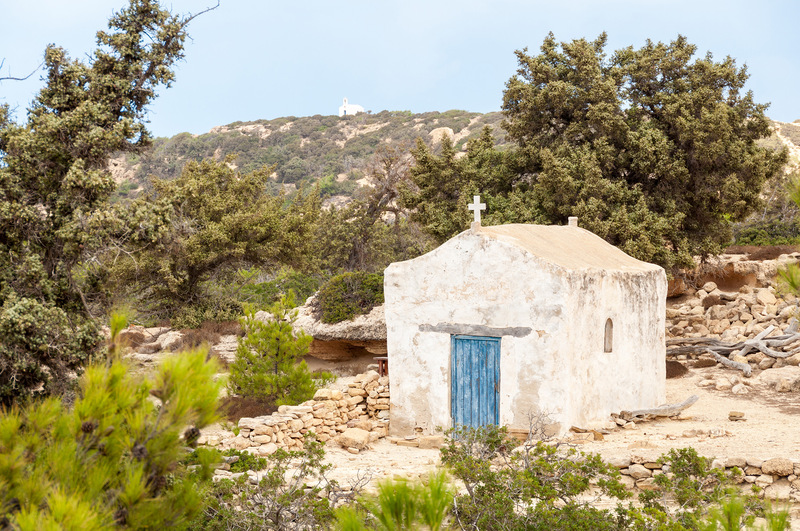 The state allowed a land exchange in the middle of the 20th century whereby residents of Gavdos traded their land on the island for land on Crete, creating Gavdiotika, which is part of Paleochora on the south coast. The island has many abandoned agricultural terraces which former residents used to farm. The leader of the terrorist organization November 17 was arrested on Gavdos in 2002, where he had been living openly as a beekeeper. 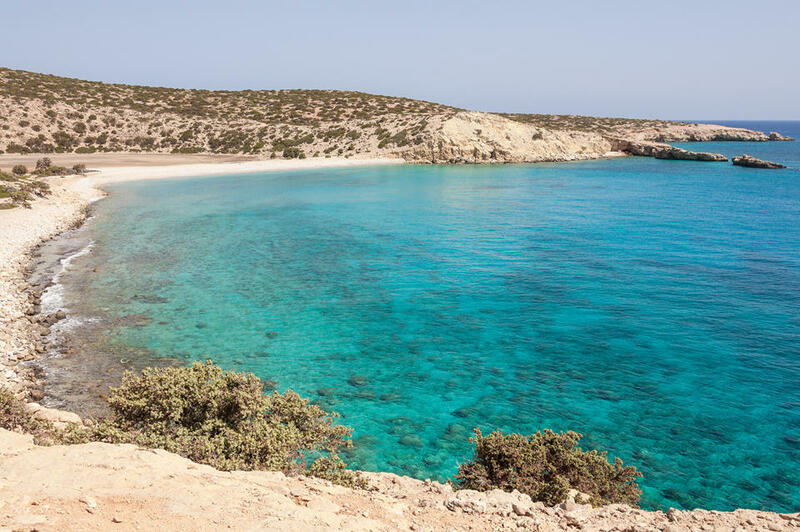 Gavdos, known as "Gaudos" in the Book of Acts (The Apostle Paul sailed by it on his way to trial in Rome), is 48 km south of Chora Skafon on the south coast of Crete. 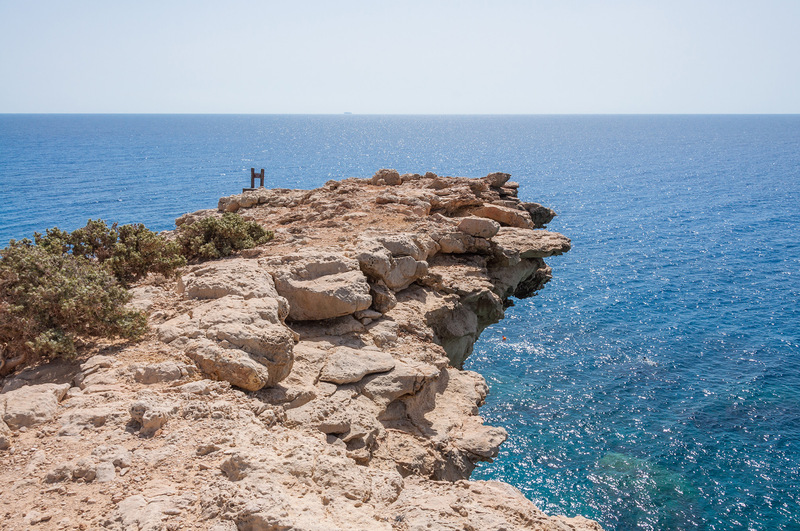 The narrow southern tip of Gavdos is a peninsula of rock called Tripiti, with 3 sea-carved arches, and a 3-meter high sculpture of a chair placed on it to mark Europe's southernmost point. There is also a nice beach there. 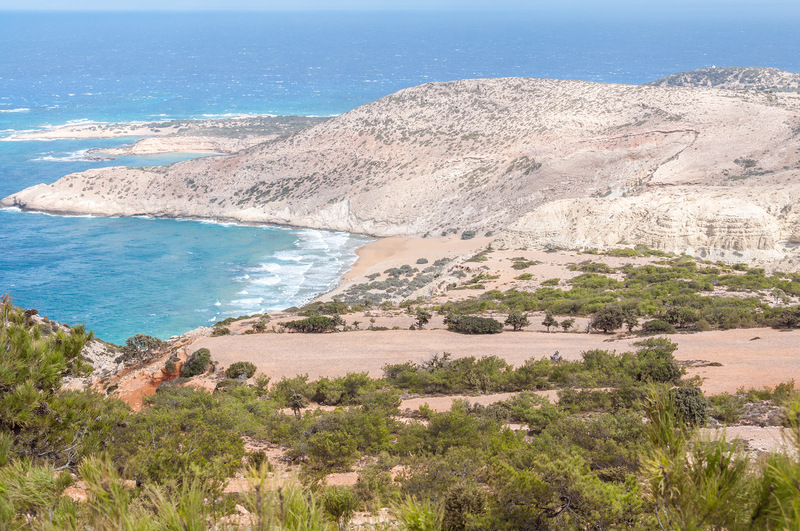 Other beaches on Gavdos include Potamia, with its red-hued sand, Pyrgi, tucked away in a hidden cove, Sarakinoko, halfway between the port and Agios Ioannis (a bus stops there). Agios Iannis, a semi-circular bay about 700 meters across, has a magnificent view of Crete and the peaks of the White Mountains and a number of tavernas. Gavdos, and the small islet to its northwest Gavdopoula ("Child of Gavdos") are important stopping off places for migrating birds. There are some pine trees on the island, as well as junipers and various shrubs. Gavdos has an imitation, non-working lighthouse that serves as a cafe and also houses a small museum. It is a replica of the real lighthouse that used to stand there and was visible from up to 60 km away but was destroyed by the Nazis. It is a place of remote beaches, spotty electrical service, no internet, peace, quiet, and a brilliant, star-spangled night sky.